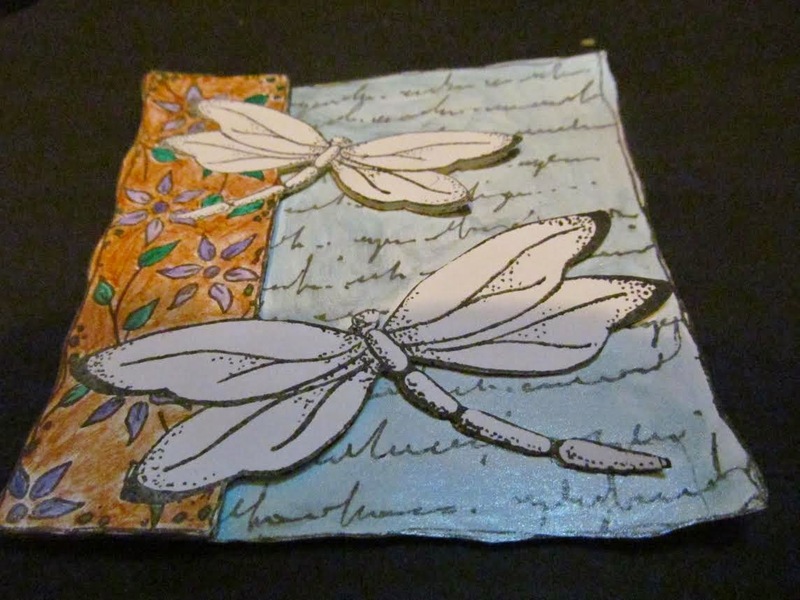 Today we have a tutorial from Jennifer to share with you. Make base card from light blue card. Matt a smaller piece of white card onto the base card. Using Inkadinks mixed with water in misting pens spritz another piece of white card. 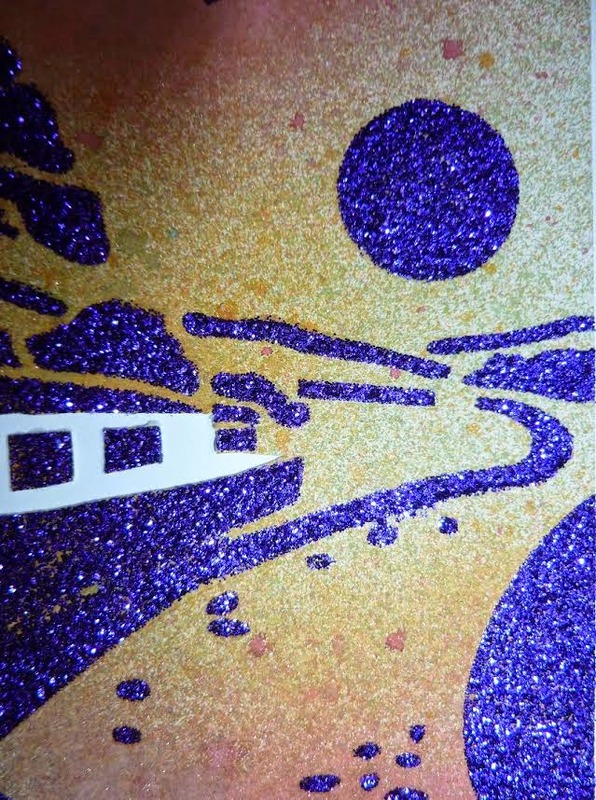 Mix a little copper mica powder with the Ochre Inkadink to add a lovely sheen on the background. 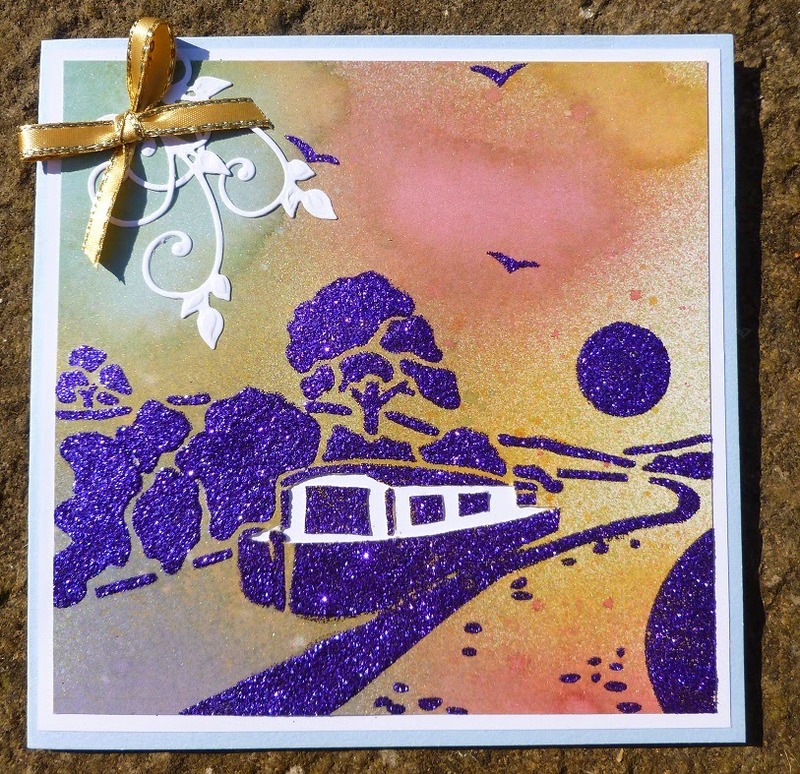 When dry, lay the stencil on top of the now coloured card and spread amethyst sparkle medium over the design. Remove the stencil and wash, place to onside to dry. Once this is dry adhere to your base card. 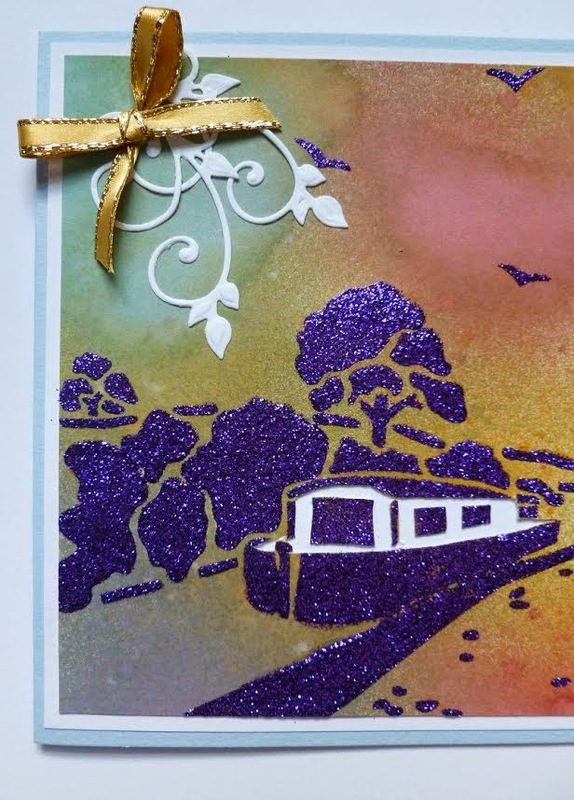 Add a white Scroll die cut to the top left of the base card and glue gold ribbon bow on top of the die cut. and we hope you enjoyed Jennifer's tutorial. Today we are sharing Lindsay's tutorial with you. 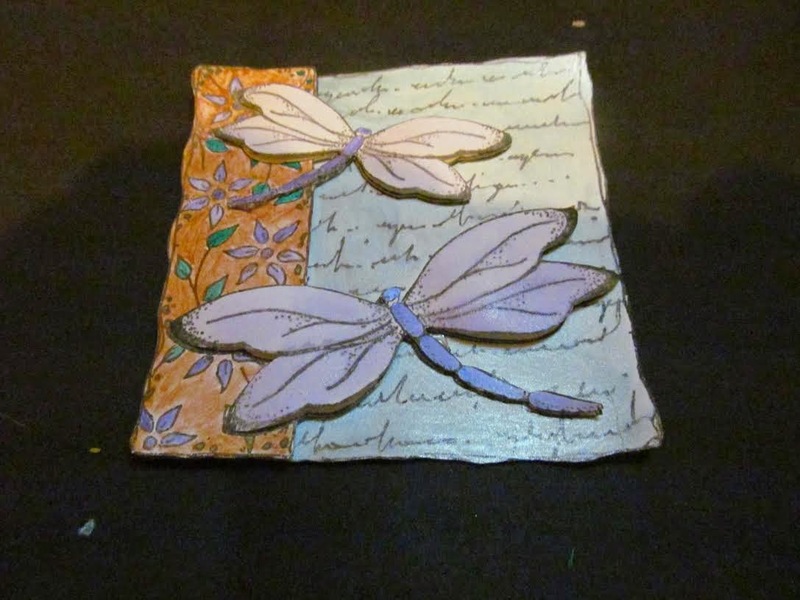 Here is a list of the Imagination Crafts products she has used. 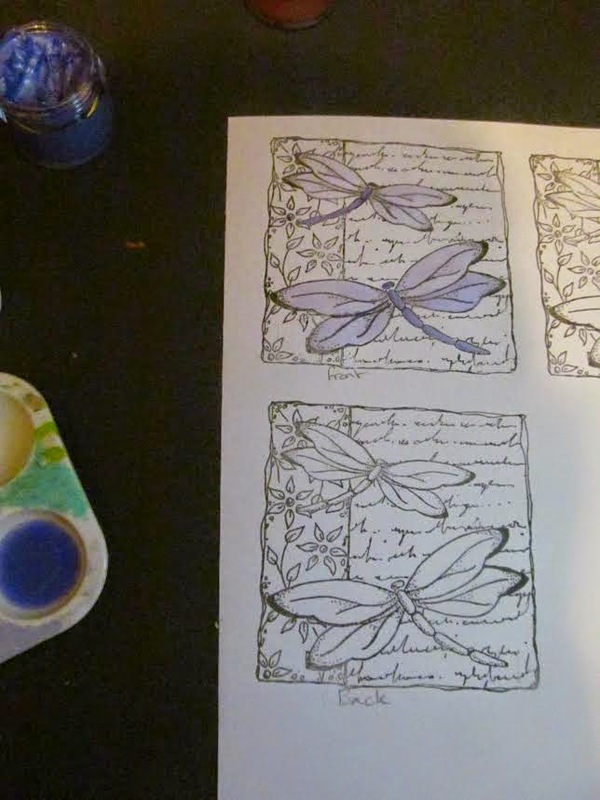 Using Lavender Lace Silkies Paint, paint the dragonflies on the first stamped image (the front piece). Using the paint straight from the tub on the bodies then mix with water on the wings to create a lighter more see through effect that shows the shimmer in the paint very well. 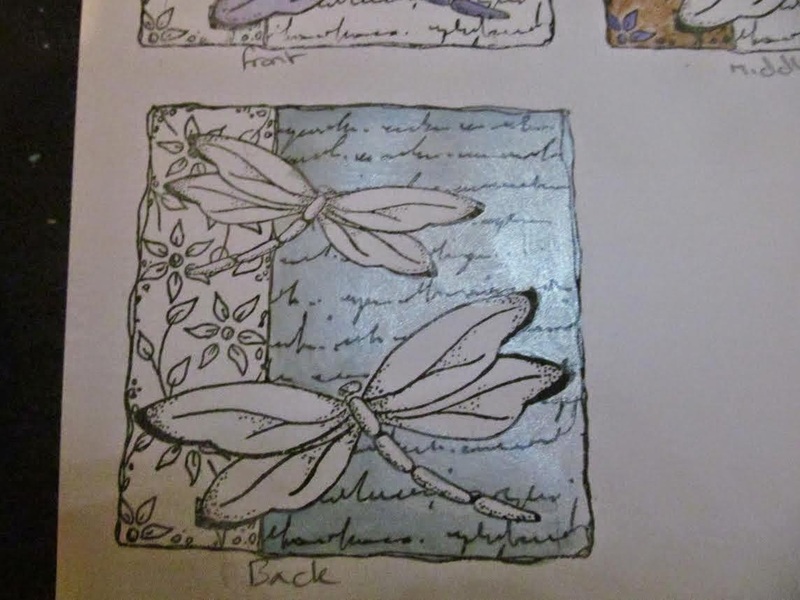 Next paint the left hand panel of the image (leaving the rest white) on the second stamped image (the middle piece) Lavender Lace, Bronze Brocade and Emerald Satin have been used. 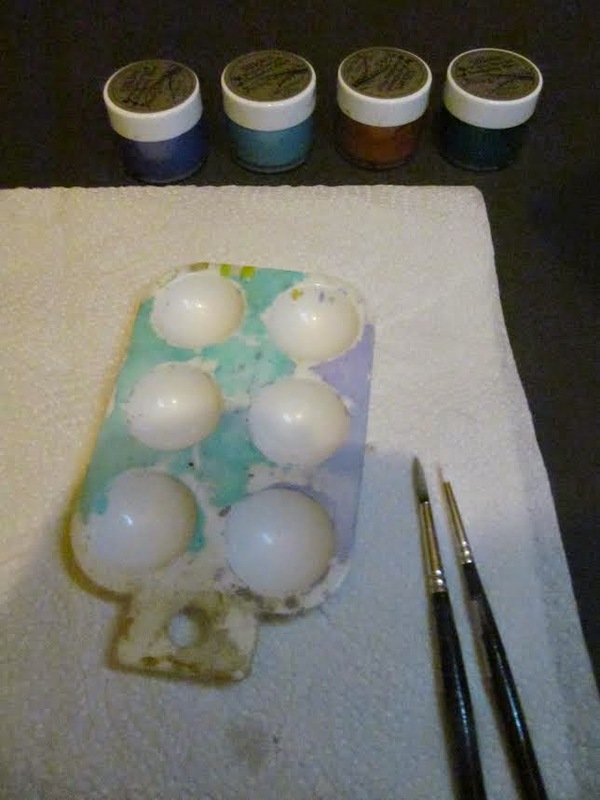 Using the Turquoise Satin Silkies mixed with water to paint the right hand panel of the last stamped image (the back piece. Once all the paint is dry then cut out each of the sections. 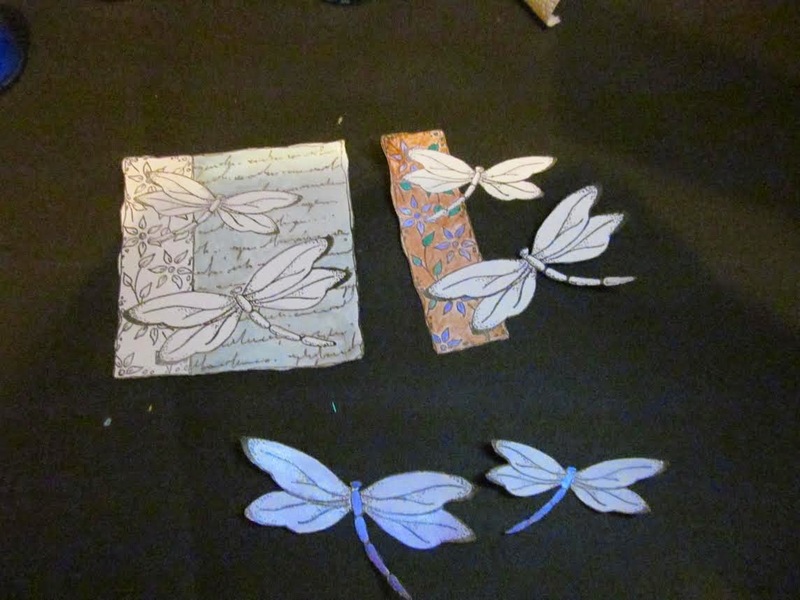 For the back piece cut out the whole of the image including the white areas, for the middle piece just cut out the coloured panel and the dragonflies cutting away the right hand panel then for the front piece just cut out the dragonflies. Using silicone based glue stick the middle piece onto the back piece and then the dragonflies from the front piece onto the middle piece giving the image depth. 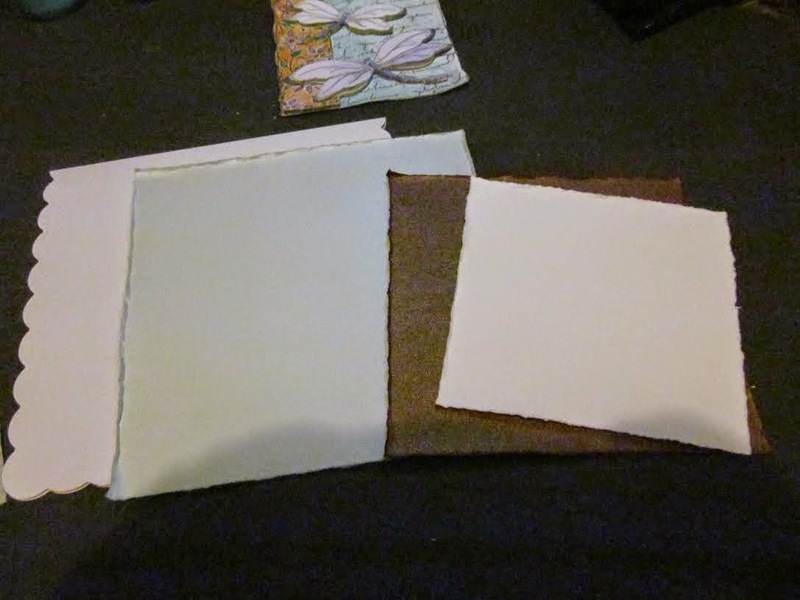 Next select your base card and matting and layering using white, turquoise and bronze shimmer card, tearing tearing out the layers using a ruler to create a distressed edge rather than cutting them. 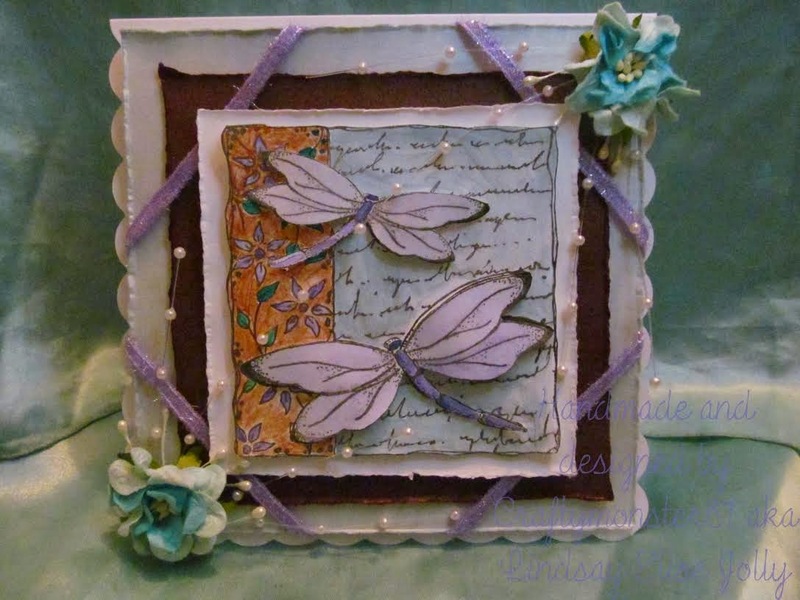 Stick the turquoise and bronze layers together then add small strips of purple ribbon across the 4 corners, securing the ribbon in place with tape on the back of the turquoise card. When the ribbon was secured adhere the turquoise and bronze layers onto the card base the layered the white card and image on top of them. 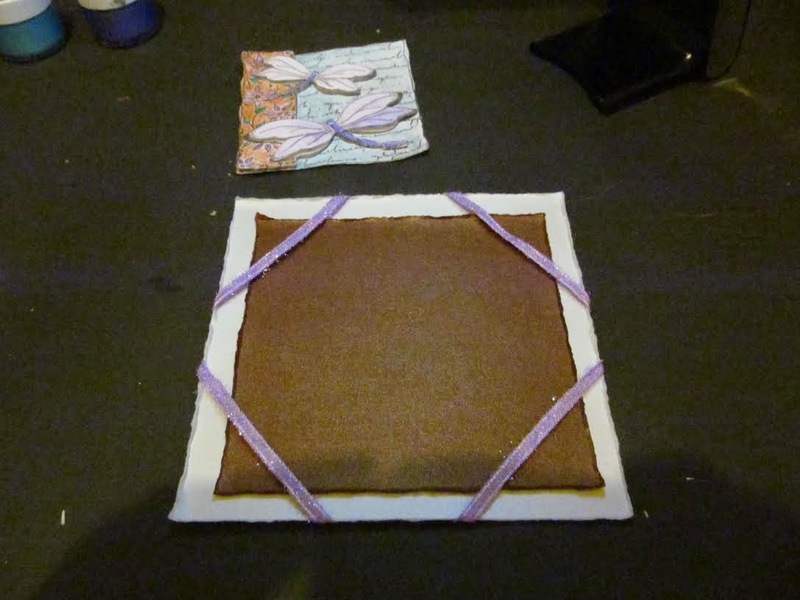 To finish off stick bead sprays and a flower in two of the corners for added decoration. We hope you all enjoyed your weekend. 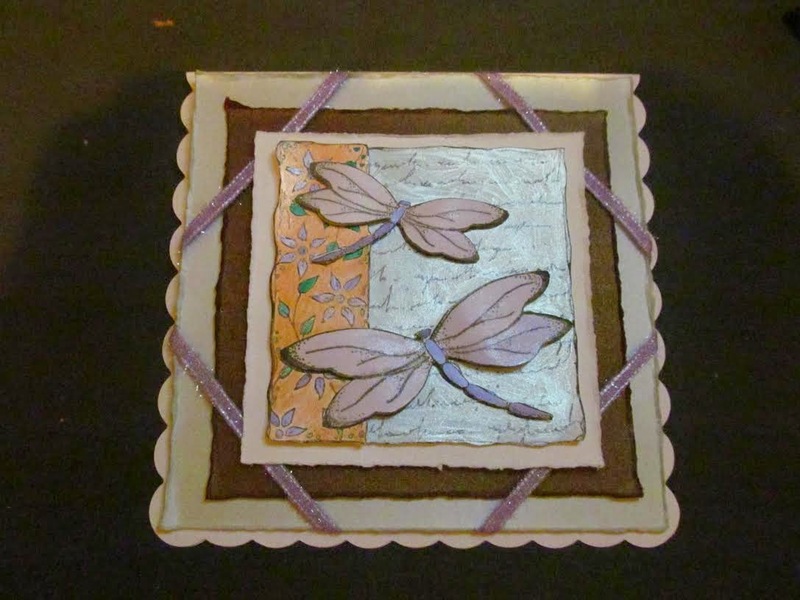 Today we have a fabulous tutorial from Rachel. 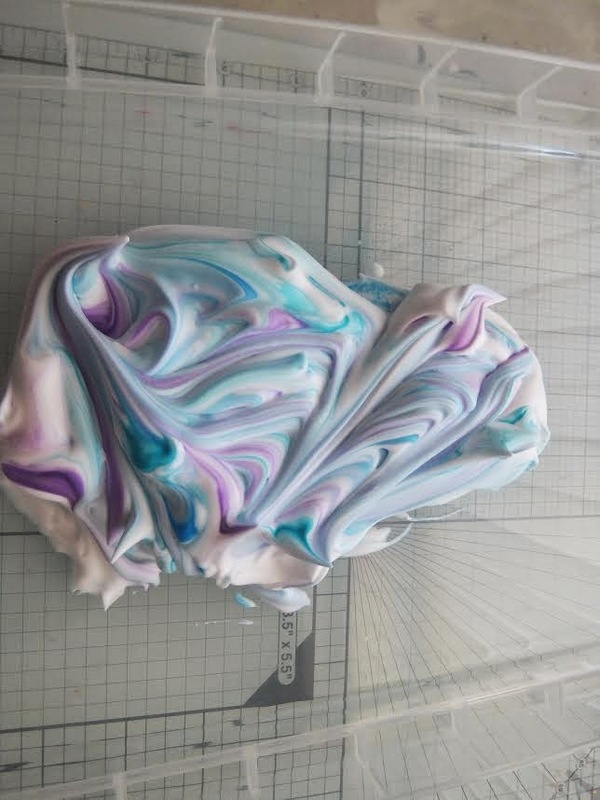 Another use for your shaving foam ladies to create some stunning backgrounds. 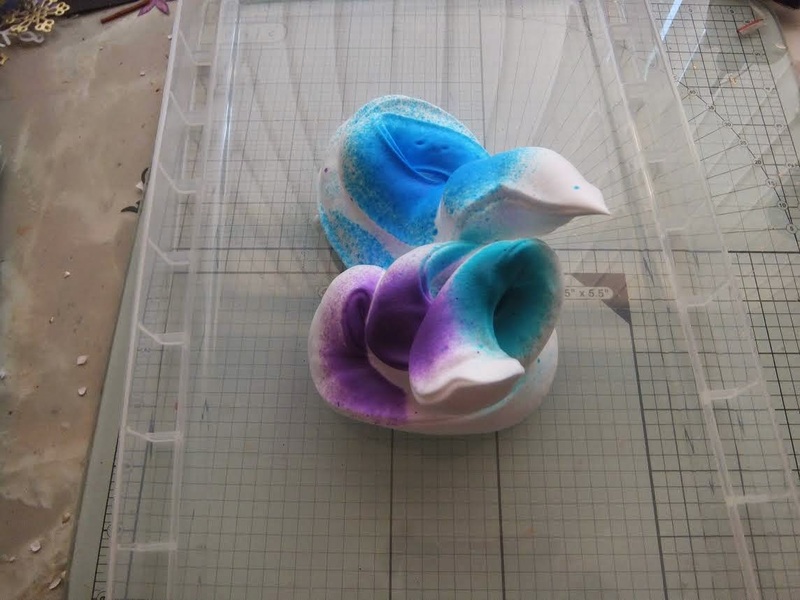 Spray cheap shaving foam into a plastic tub and spray with inks. 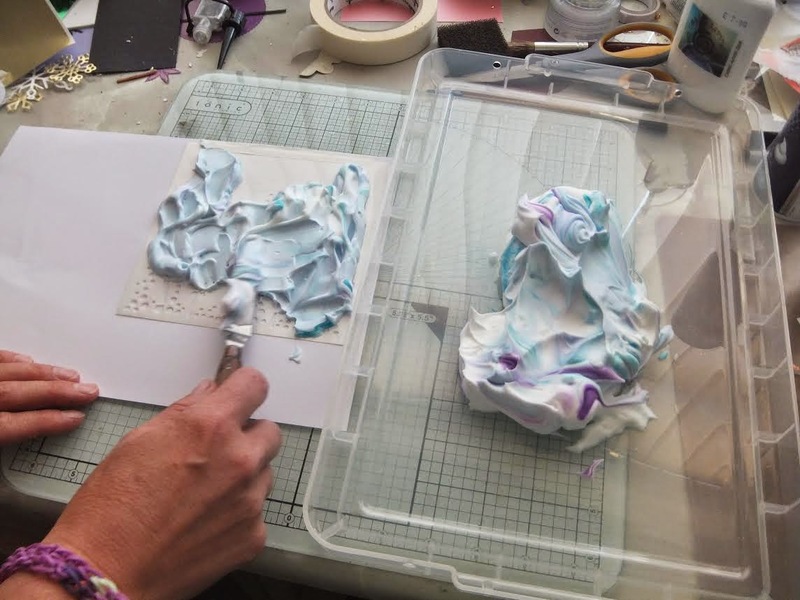 You can use any inks, Inkadinks work well with this technique. 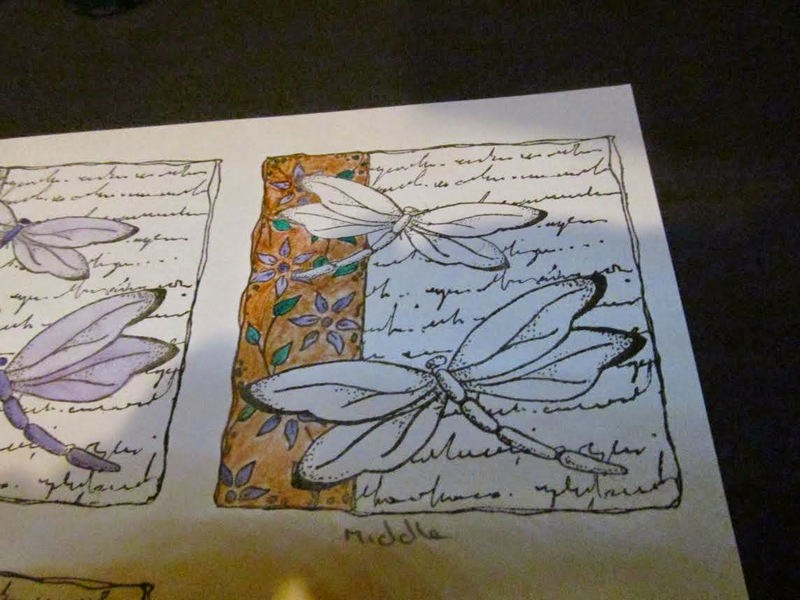 Mix the inks around to create a pattern. Apply directly to a stencil attached to card. Move the foam around and then remove most of it, if the colours haven't come through very well re-apply until you are happy. 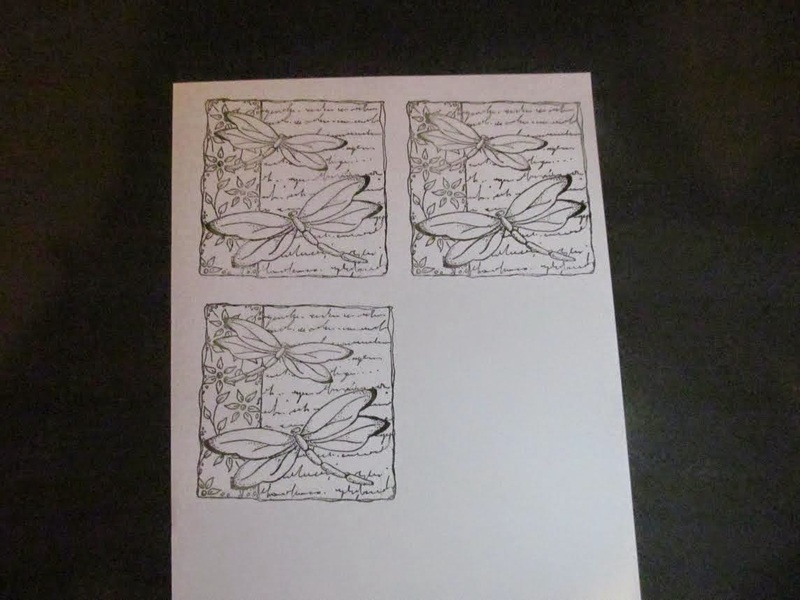 Remove the stencil and leave the card to dry. 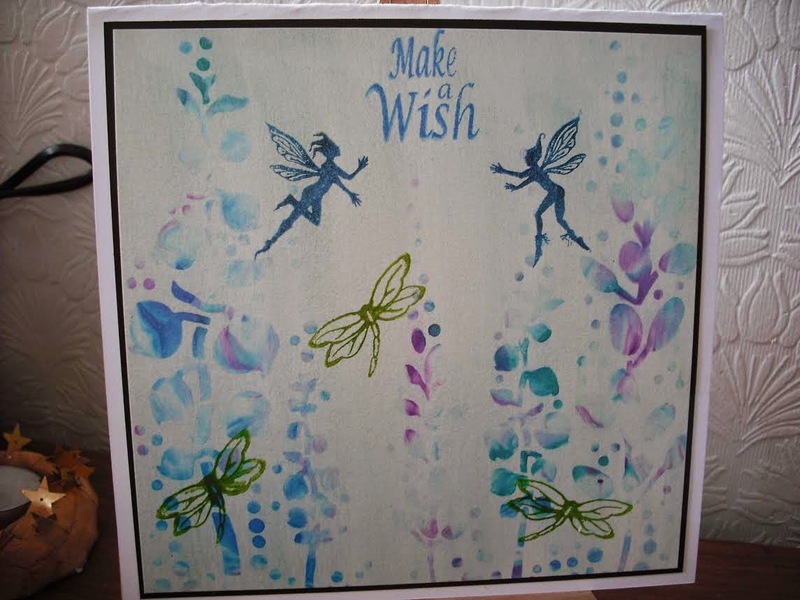 Once dry use stencil brushes to add background colours and over stamps. Matt and layer onto a card.